Serengeti has to be one of the greatest national parks in the world. Roughly the size of Holland at 15,000 km, the park gets its name from the Masai word Serenget meaning 'endless plains'. One glimpse of the park and you won't ask why it has been named so. 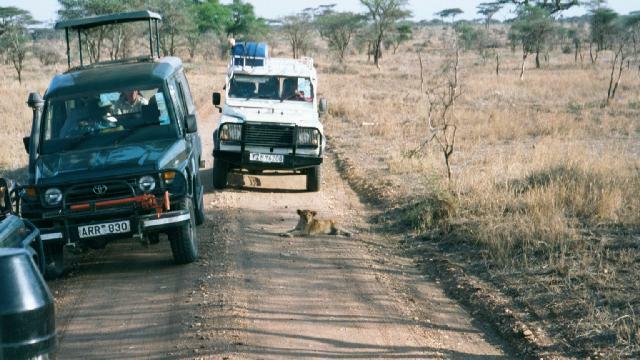 As soon as you reach the outskirts of the park, you are greeted with a sight of miles and miles of endless African savannas filled with wild animals. It is this place which draws thousands from all over the world to witness the much acclaimed migration of the wildebeest - said to be one of the most fascinating sights in the world. The park is the best place in the world to see four out of the 'big five'. The 'big five', for the uninitiated, are the lion, the leopard, the buffalo, the rhino and the elephant. Rhinos are the only one of the five that is missing , although some claim to have spotted a couple in a corner of the park. We were fortunate enough to see rest of the four in close quarters. The park has lots of lions and we bumped into a pride almost every time we took a game drive. Lions are the biggest cat in Africa and the only cat bigger than them in the world is the tiger. A lot of research is being carried out here and at the crater on these animals. Invariably every single pride had a lion with a tracking device strapped around its neck. One of the few recent discoveries of the research is establishing the fact that these cats are territorial. The crater in fact has been divided among six different prides and they guard their regions vehemently. We also spotted a lion-lioness couple near the famed Kopje rocks close to the park entrance. When they mate, the couple distance themselves from the pride and live 'together' for about a week. The highlight of the game drives in the park, for me at least, was watching a few playful lion cubs for about 3 hrs one evening. 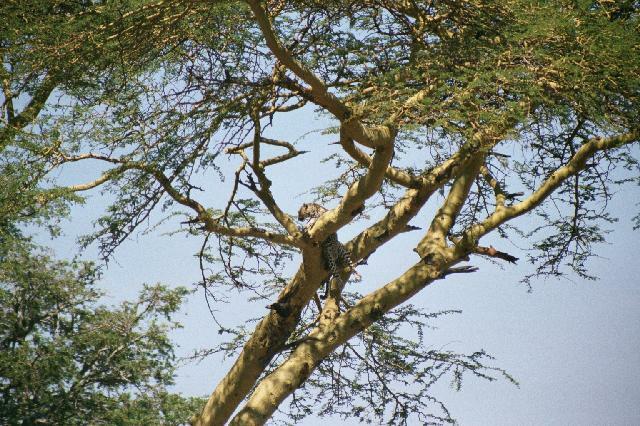 The leopard must be the toughest to spot among the 'big five'. Its numbers are very much lower than the other cats. A park as big as Serengeti has only about 50 of them. But unlike the rhinos, their small number is more due to nature's hand than man's. The leopard, unlike the other carnivores, kills its prey even when it is not hungry. It normally places its kill up the top of a tree far from most scavengers. 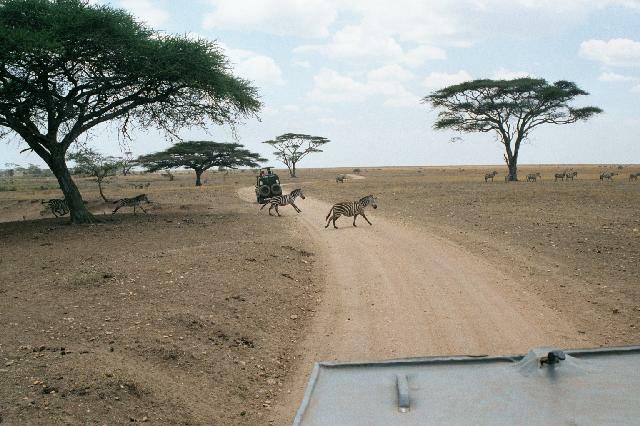 In fact it is very normal to spot dead impalas and gazelles hanging from trees inhabited by these cats. In order to maintain the balance, nature tries to keep its strength to a small number. Nature does this by placing the leopard amongst the few mammals which does not care about its cubs. Its cubs face more danger from the carnivores than the cubs of the other cats. The cheetah, of which there are only 500 in the park, is the most shy of all cats and the cat with the faintest of heart. A cheetah can easily be scared away from its meal by a tiny hyena and it is this reason why this animal, though fastest in the world, does not figure in the list of 'big five'. The 'big five' consists of animals which are the most ferocious when attacked and hence the most sought after by the hunters. 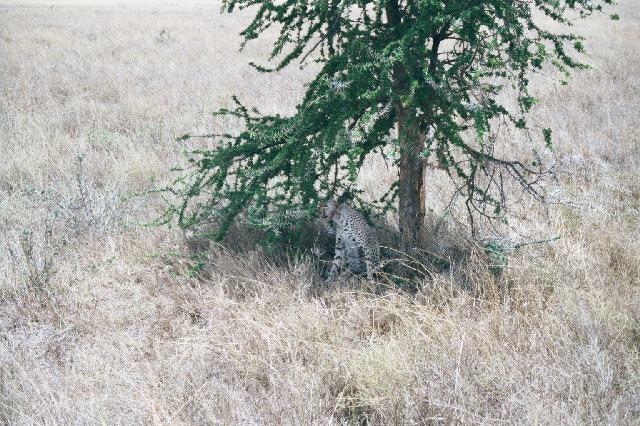 Hence the rarest rare sight that we enjoyed during our safari was spotting a cheetah, a hyena and a leopard in one spot. A cheetah very rarely stays put in such a 'hostile' environment. The park also houses plenty of herbivores. After seeing a gazelle, an impala, a zebra or an antelope in every square feet of the park, I was surprised to learn that the chances of them getting killed by a carnivore is much higher then them dying a natural death. Each cat has its favourite prey and hence each herbivore has its deadliest enemy. The Thomson's Gazelle is the fastest of all herbivores. At 60 mph, it can easily outrun all the cats except of course the cheetah. The park has wide varieties of antelopes from the dikdik, the smallest antelope in the world, to the eland, the biggest. Dikdiks are actually captured alive by the lions and they use the poor antelopes to teach their cubs the art of hunting. 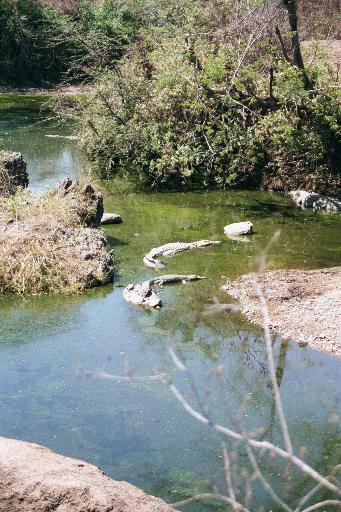 The park also has a few hippo pools and a crocodile pool. The crocodiles, I was told, can survive upto 2 years without food. They are seen to swallow stones during the extended famine. They regurgitate the stones once the food becomes available. Among the birds there are the ostriches - the biggest bird, the kori bustard - the biggest flying bird, the vultures, the eagles, the kites and the crowned crane - the national bird of Uganda. Among the lesser sought after creatures in the wild are the insects and the tse-tse has to be the most painful of the lot. They are about twice as big as a housefly and their bite sting twice as worse as mosquitoes. But unlike the mosquitoes they do not leave behind a bad itch or swelling. The normal insect repellents didn't seem to scare them away. The only consolation we had was the knowledge that the ones in north Tanzania don't carry the sleeping sickness. 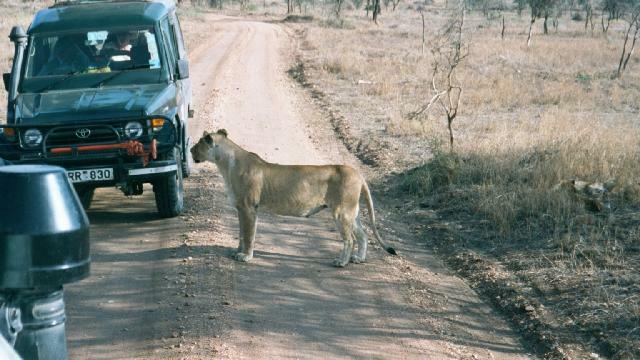 One has to be more careful when visiting the Selous in the south. The camping in this park, unlike the smaller ones, is generally inside its boundaries. Sleeping in the wild with constant growling of the lions and munching of the giraffes and buffalos must be an experience of one's lifetime. Giraffe's munching rather than the lion's grunts actually gave some of us sleepless nights as we were afraid that they might trip on the tent ropes. You don't want to get anywhere close to their legs. They can kill a lion with their powerful forelimbs. The park will make it to anyone's list of top 5 natural wonders of the world. I don't think there are that many places in the world where you would be shooing away hyenas and lions during dinner time!